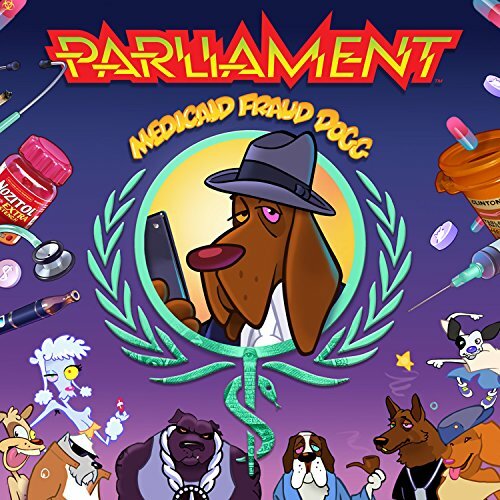 It is of Parliaments first release in 38 years, Medicaid Fraud Dogg. This is a loooooong album and, honestly better than expected. It manages to pull in George Clinton's amazing funky past and fuse it with a current sound and never manage to sound forced. Seven stars was the ranking because it is an overwhelming listening experience taken in full, but picking out a few tracks will appease almost any fan of funky music. If it had been cut down to be more focused on the message it might have joined the heights of all time P-Funk classics. As it is, Medicaid Fraud Dogg is not far away from those.